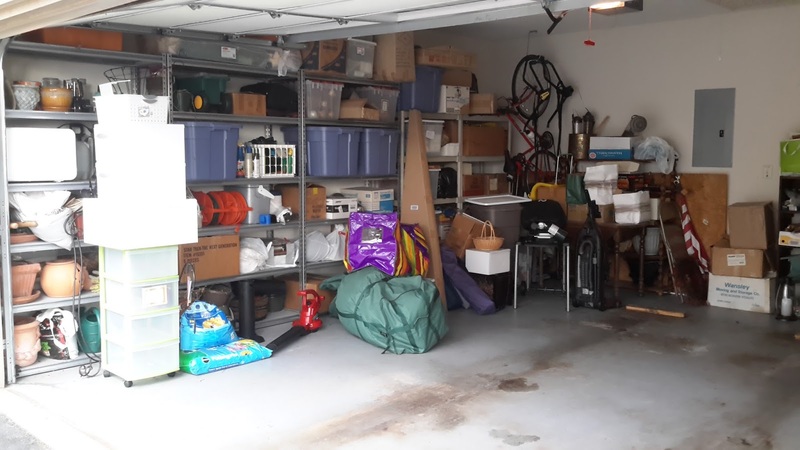 This garage had become a catch all space. 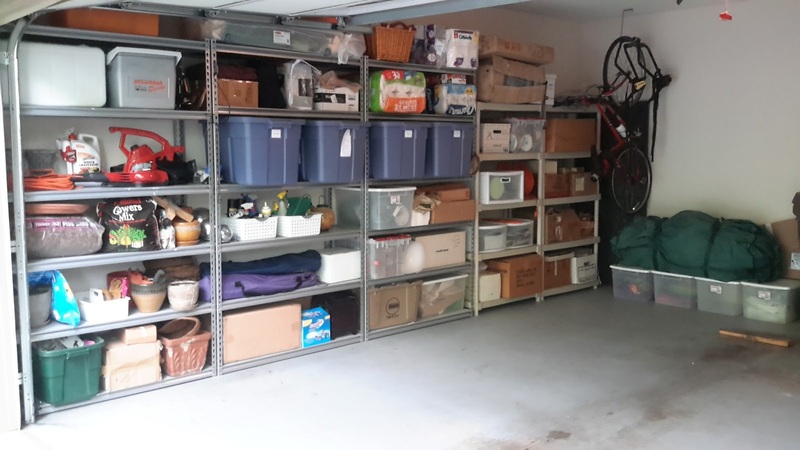 By going through everything and donating items no longer needed and discarding broken items, we achieved much needed space. 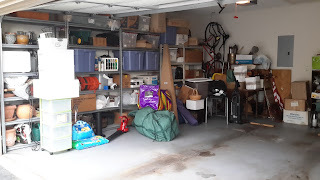 We then replaced the "good stuff" into sections by type: all gardening items were together, all Christmas decor were together etc. We dealt with spacing and bins already on hand. When starting a project of your own, buy containers to fit your space to best utilize your area.